Uvularia grandiflora is the most commonly planted of the five species of Uvularia all native to eastern North America, from southern Quebec and Ontario south to Georgia and east to Minnesota. 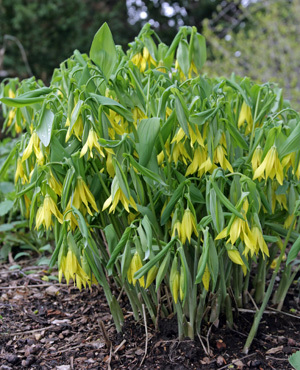 With a common name of great merrybells or large-flowered bellwort, this woodland plant is one of the first wildflowers to emerge in spring. It is a long-lived perennial in the lily family (Liliaceae) [or in the Convallariaceae or Ruscaceae, depending on which taxonomist you discuss this with] that is hardy in zones 3-7. Plants are produced in dense, vase-shaped clumps 12-20” tall. Single or 1-branched stems arise from short underground rhizomes with fleshy, fibrous roots and no stolons. One terminal inflorescence is produced on each stem, with 1-4 hanging flowers. 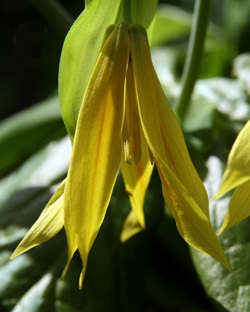 The hanging yellow flowers are about 1 ½ inches long. The six overlapping tepals flare at the ends. The fruits that follow the flowers are a 3-cornered capsule with 1-3 brownish-red seeds per locule. The flowers are followed by bluish-green, alternate, perfoliate leaves. The plants remain throughout the summer, unlike many spring wildflowers that go dormant after blooming. 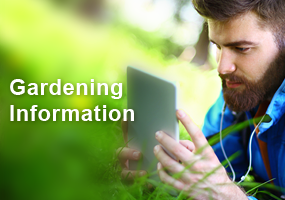 The plants typically appear droopy, as though wilted, as they are expanding and during bloom. U. grandiflora is at home in natural areas or the wild garden, as well as in more formal plantings. 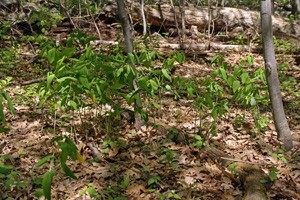 Scatter clumps among low-growing ground covers, such as creeping phlox (Phlox stolonifera), vinca (Vinca minor), or running foamflower (Tiarella cordifolia). 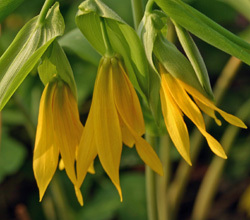 Pendant flowers of Uvularia grandiflora. U. grandiflora does best in a lightly to moderately shaded spot in moist, fertile soil. 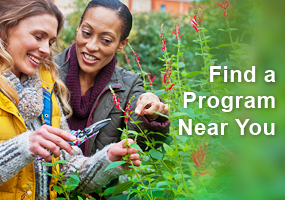 This species rarely needs division, although it can be propagated by cutting up and moving clumps in the fall. 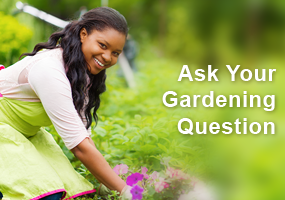 Plants may self seed and the seedlings can be transplanted more easily than dividing established clumps. It may take a few years for transplanted clumps to get re-established. 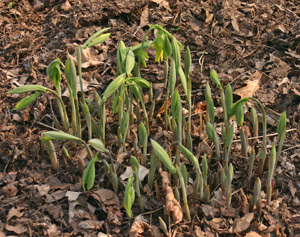 U. sessifolia, sessile bellwort or wild oats, is the only other species that occurs in Wisconsin (U. floridana, U. perfoliata, and U. puberula are all found in more eastern or southern states). This species is shorter, has smaller and paler yellow flowers with a single flower per stem.